Like the Olympic, Titanic's safety features set new standards for marine technology. 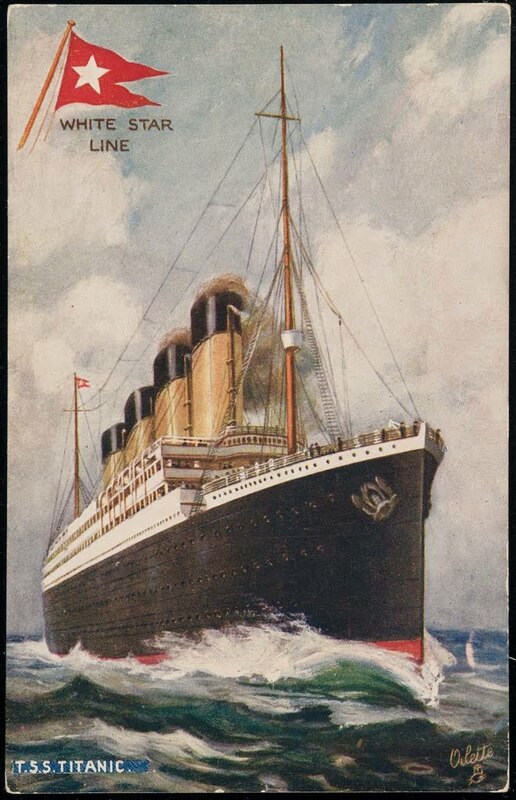 Titanic was equipped with a double bottom or a double plated keel, which means there was a watertight space between the keel and the lowest deck of the ship. This was primarily for safety and secondarily a storage for water ballast. Titanic's 16 watertight compartments and 15 watertight bulkheads. 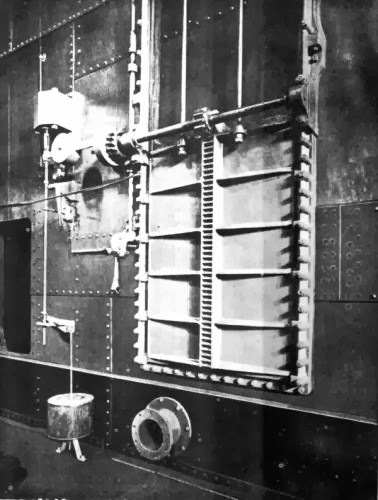 The ship also had 15 watertight bulkheads which divided the ship into 16 watertight compartments. This system of watertight compartments could allow any 2 of them to flood without sinking the ship. Towards the front of the ship, she would be safe if 3 of the first 4 compartments were to flood. Even in a worst case scenario and all 4 of the first compartments were to flood, the ship could still remain afloat. Titanic could stay afloat even if all 4 forward compartments were flooded. If the hull were to be punctured in one or more places, watertight doors could be closed automatically from the bridge. Powerful pumps could empty each compartment before the water could reach the top of the bulkheads. However, the watertight bulkheads were not sealed at the top, because the designers considered it to be unnecessary. Based on the high number of compartments that would have to be breached, water should never reach the tops of the bulkhead walls. Shipbuilder Magazine calls White Star's huge new ships "Practically Unsinkable". In the public mind, this is as good as "Unsinkable". Expectations for Titanic now run even higher.